The Xiaomi Mi Max 2 has undergone a design refresh, which is especially noticeable when you place it beside the earlier model. 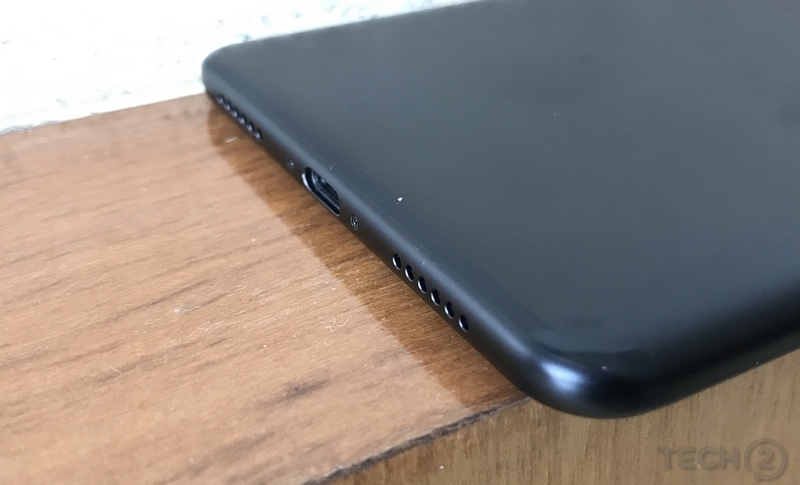 For starters, the edges have got the rounding treatment, and it’s unlike the Mi Max, where the rear side of the phone just curved in around the corners. The body is all metal and there are no plastic bits on the top and bottom edge, as was the case with the Mi Max. Thereby making it slightly heavier than the Mi Max. The black coloured Mi Max 2 that I had for review has a metal back which can tend to get quite slippery at times. 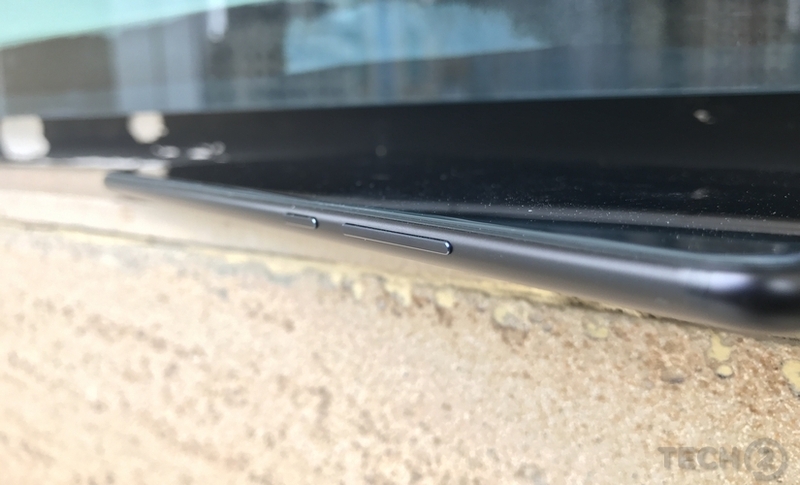 Whoever held the device, the first thing they pointed out was how slippery it was, this was even before turning it on (Take note, Xiaomi!). The antenna lines curve around the top and bottom edges, which tend to almost merge with the black colour. 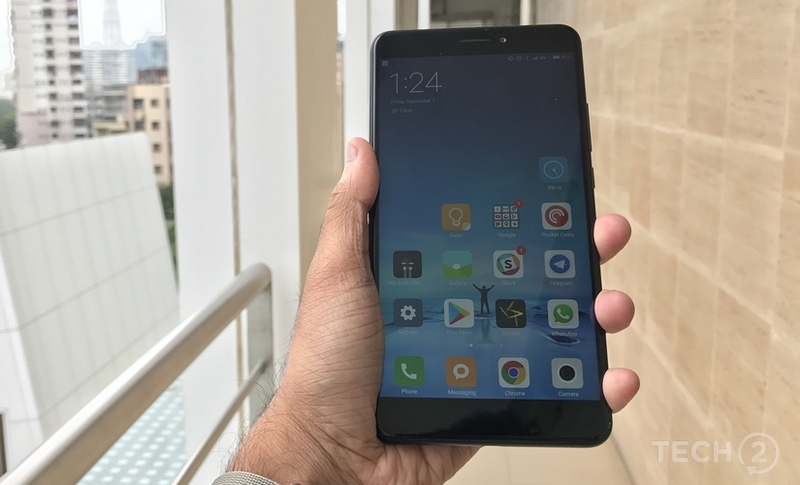 The big screen Xiaomi Mi Max 2. 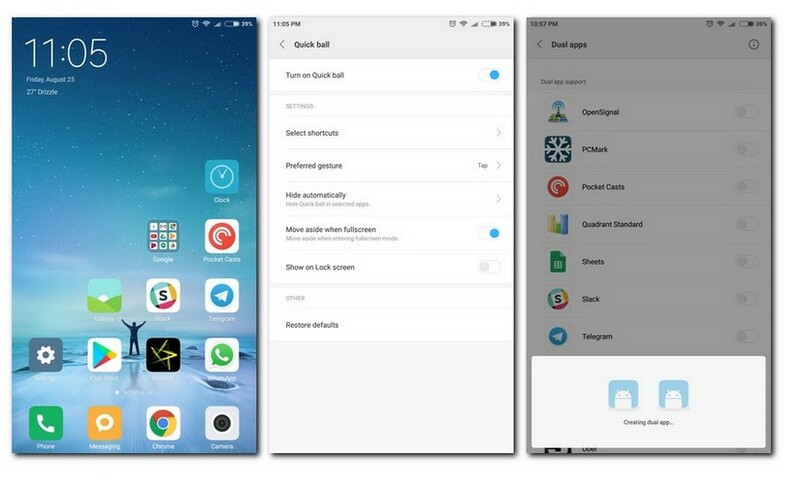 The Xiaomi Mi Max 2 has undergone a design refinement. The power and volume rocker buttons on the right. Overall, the build quality of the Mi Max 2 is quite good, but I would’ve liked a bit more grip on the device. But this can be overcome by putting on a cover. While the size of the phone is huge, it did manage to fit into my jeans’ pockets, although with the top portion jutting out. One-handed use is out of the question though, unless you use it in the one-handed mode, which I would avoid as the phone feels top heavy when held in one hand. One would assume that Xiaomi would have gone all out with the second generation Mi Max, but that is not the case. On the display side, things haven’t really changed. You still get a 6.44-inch Full HD display. 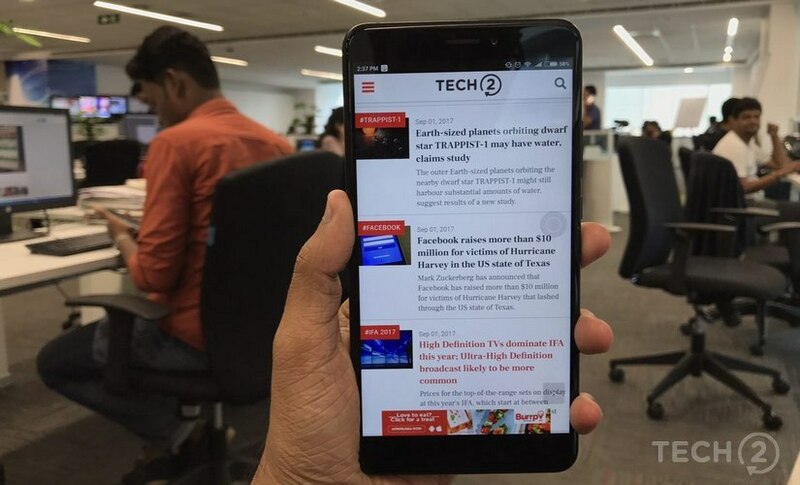 It houses a Qualcomm Snapdragon 625 SoC which comes with eight Cortex A53 cores clocked at 2.0 GHz along with an Adreno 506 GPU. The Mi Max came with a more powerful Snapdragon 652 chipset. Now while the number may be higher, you need to note that the Snapdragon 652 was built on the 28 nm process, whereas the Snapdragon 625 is built on the 14 nm process. Overall, the result should be a device that’s almost as powerful as its predecessor, but at the same time, much more efficient. 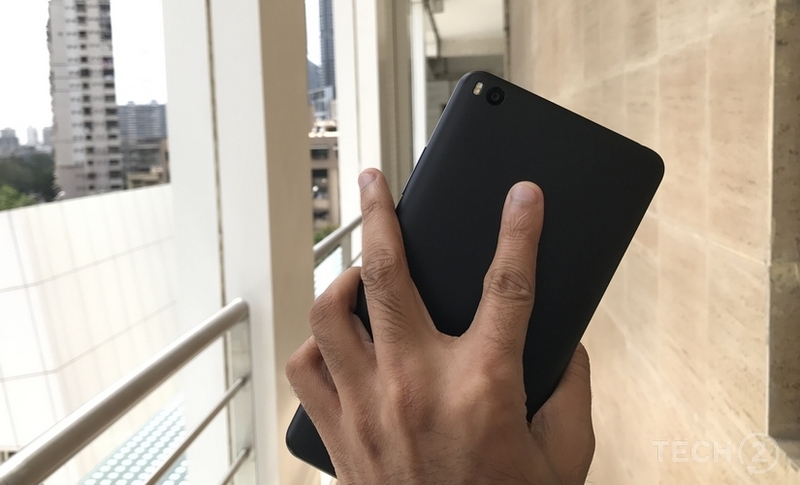 With the Xiaomi Mi Max 2 you can forget one handed use of your phone. The rear camera is now a 12 MP Sony IMX386 unit with an f/2.2 aperture and there is a 5 MP front-facing camera. The phone comes with a “dual-stereo” effect with one speaker section on the base and the other being the earpiece speaker. 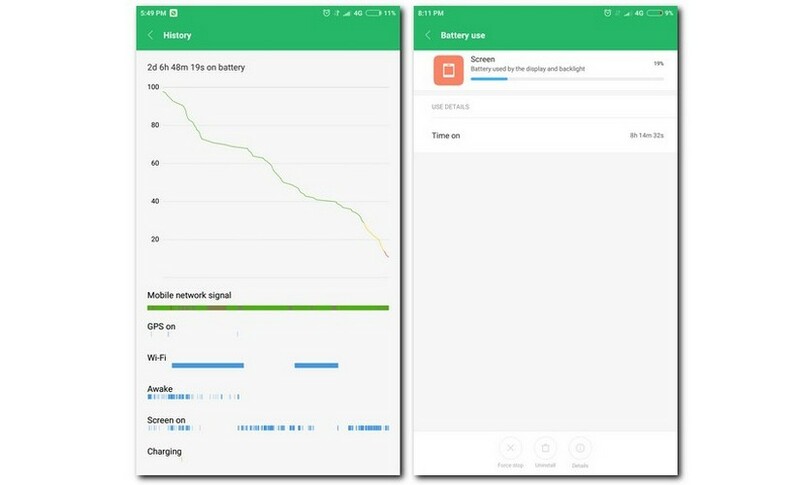 A massive 5,300 mAh battery powers the device. 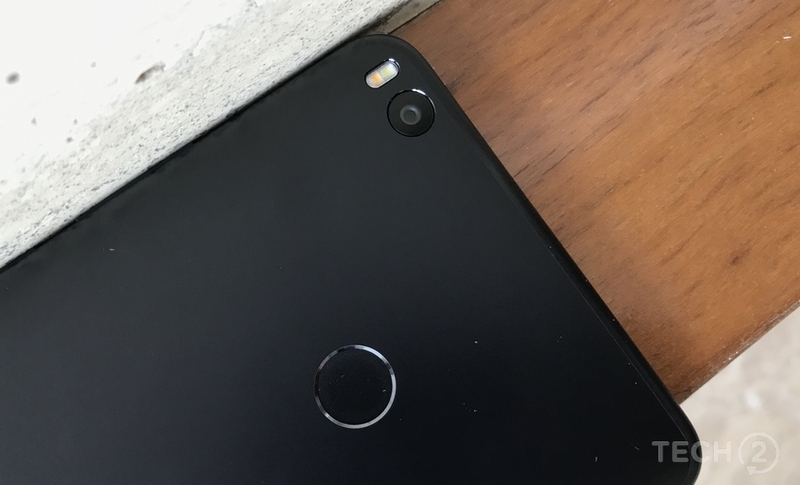 The 6.44-inch display is the highlight of the Mi Max 2. Just like its earlier version, the Mi Max 2 also comes with a Full HD display. The 2.5D display is protected by Corning Gorilla Glass 3, thereby making it scratch and smudge resistant. The brightness levels of the display are quite good. It can get a tad reflective at times though, and you would like to avoid any direct light source in the background. But considering the 6.44-inch display, I would have liked to see scaling options which would let me add more app icons per row. As it stands, you can only adjust the text size and there are four app icons per row, which seems like an unnecessary waste of space. This is a bummer because if you have a lot of apps, there will be that many home screens to swipe through. Either that or you’ll have to use multiple folders. Thanks to the large display it is a pleasure to read long articles and ebooks. There were a few instances when taking or cutting a call that I noticed some strange bugs. For instance, the music would sometimes not stop when receiving a call. At other times, I’d have to tap multiple times on the end call button to end the call. These are issues which can be resolved with software updates in the future. In the large display space, Mi Max 2 has little competition at its price and feature set. If you can extend your budget, there’s the Lenovo Phab 2 Pro, a 6.44-inch display phone, which comes with support for Google Tango and includes a 4,050 mAh battery. If the camera is an important requirement for you, then you are better off going for the Oppo F3 Plus which has a 6-inch display, 4,000 mAh battery, slightly better chipset and a better camera.